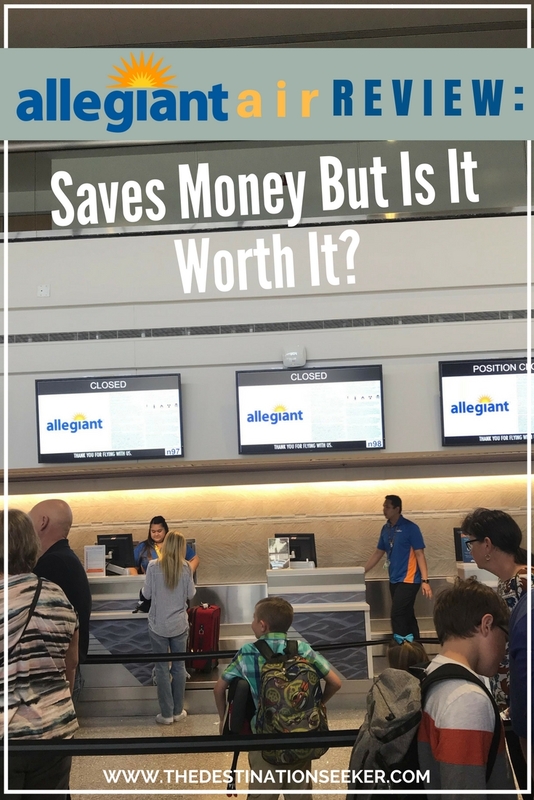 Allegiant Air Review: It Saves Money But Is It Worth It? 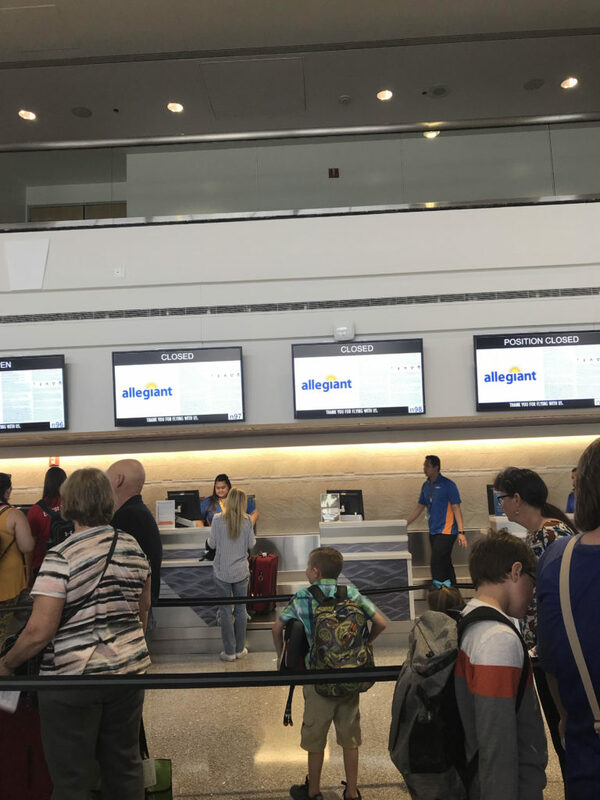 If you are looking for a flight, then you may have heard of Allegiant Air. Honestly, it is a smaller airline and when I asked around the opinions were both ways. 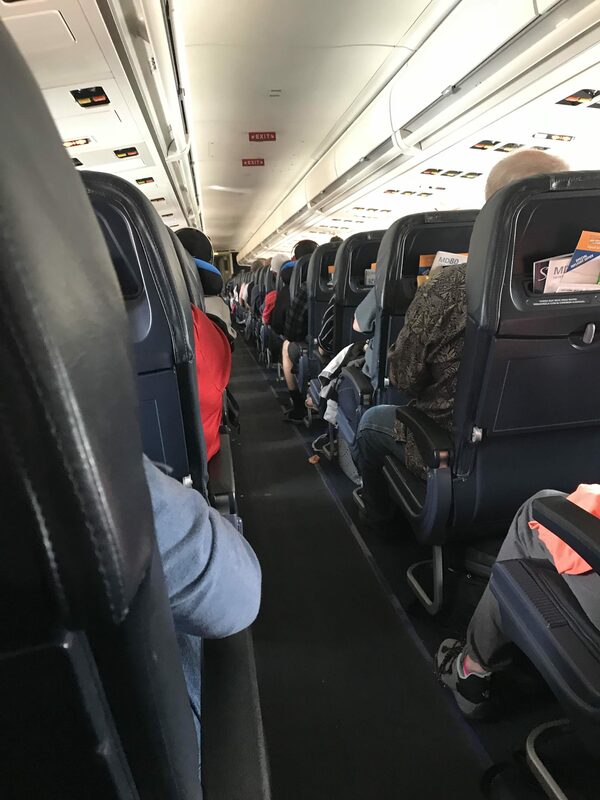 We have flown Allegiant Air three times now and had an amazing experience each time. I would highly recommend this airline if you are looking for a cheap and direct flight. One thing I love is that you don’t have a layover when flying Allegiant Air. I love being able to just get on one flight and get to my destination. This last time, we were headed from Wichita to Las Vegas. First off, the Wichita airport is great because it is a smaller airport and you can get in without a lot of delays. We had booked our Allegiant Air flight online before the trip. Once we arrived, you simply stand in a short line to drop off your luggage. They have an app that is available for download to check-in and get your boarding passes. This made it all go pretty quick. During our check-in process, my husband got out his ID and the woman helping us happened to notice that he is military. She immediately let us know that military gets their luggage fees waved and they also do not have a limit to the weight of their bags. When I placed our order online for our tickets, I had paid ahead for our luggage. The woman took down our information and said that she would be getting us a refund for the money I had spent for two checked bags and also our one carry-on luggage. By the time we arrived home, it was already showing up on our credit card. This saved us $140. If you are not military and have to pay for your luggage, if you pay online then you will save money instead of paying at the airport. While on board, they do offer beverage and snack services. These cost a fee and you have to pay with your card because they do not accept cash. The prices were not bad at all for being on a flight. They do not offer in-flight wifi, but we were on a flight that was only two and a half hours long. It is a smaller plane as you can see below. There are bathrooms at the front and back just like on most airplanes. On our way back, we found out that military also doesn’t have to pay for seat selection. I had to email to get this as a credit for a future flight. They also have a lot of various benefits for military listed on their site. It is great to see a company support the miltary so well. One thing about Allegiant Air is that they only fly out on certain days. To fly from Wichita to Las Vegas we needed to take a flight out on Thursday that came back on Sunday. I compared prices and it was the cheapest flight for those days from our area. We actually got to stay an extra day and fly cheaper than if we had left on Friday and came back on Sunday with another airline. We really enjoyed flying with Allegiant Air out of Wichita. I would highly recommend it if you are looking for a straight flight where you do not need to have a layover and just simply get to your destination. We will be flying with them out of Wichita again in the future. It will probably be to Las Vegas, but maybe next time we will take their new flight to Orlando, Florida.